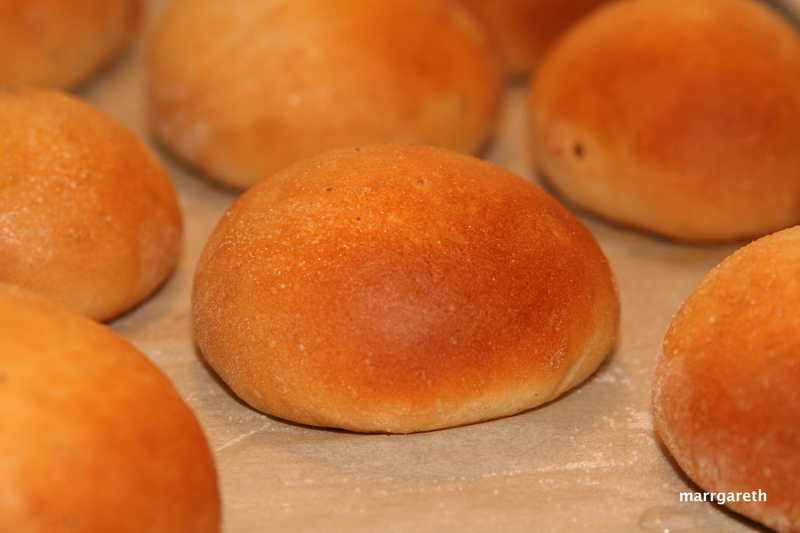 Children with food allergy can eat these yeast buns. This recipe contains no eggs or milk. 4 tsp sugar for sprinkling the buns. Put the ingredients from 1 to 4 into a big bowl, mix them thoroughly and add the raisins if you decided to add them. 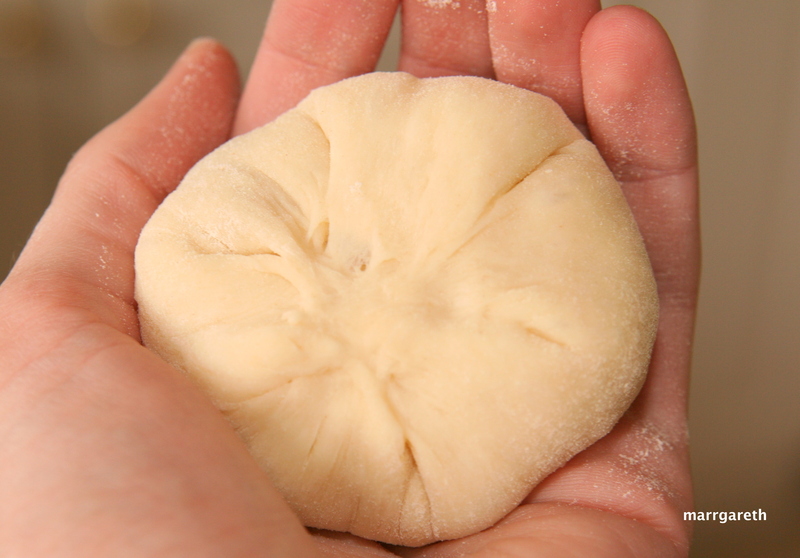 Add the soy milk and oil and mix to a soft dough. 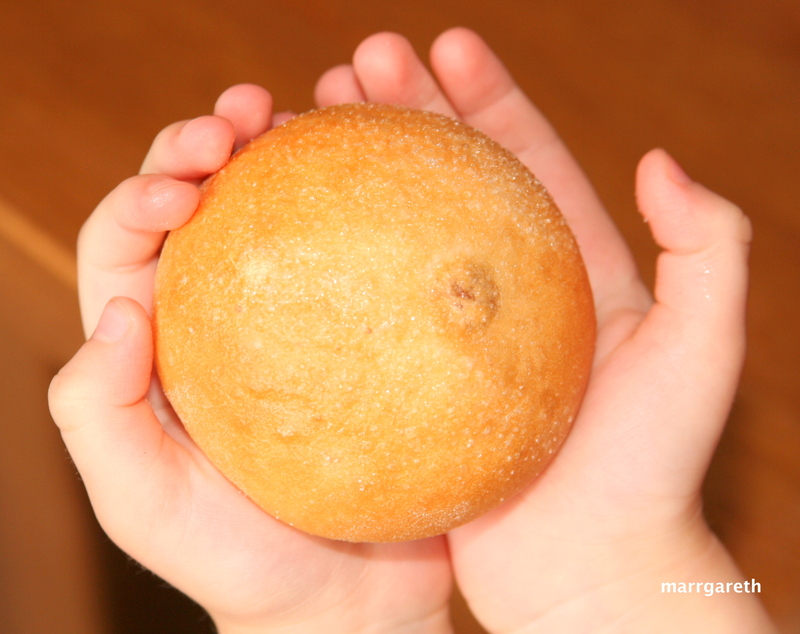 The dough must be well kneaded. 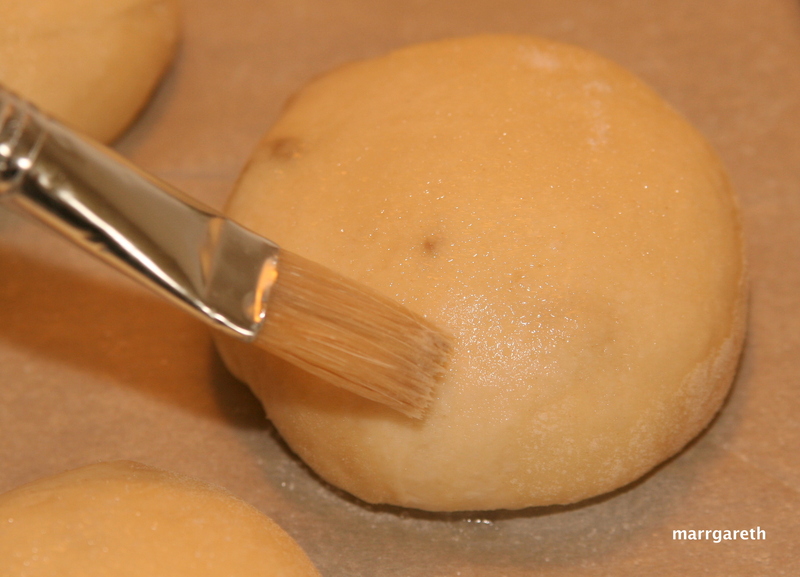 Shape the dough into a ball, dust with flour, place in a bowl. 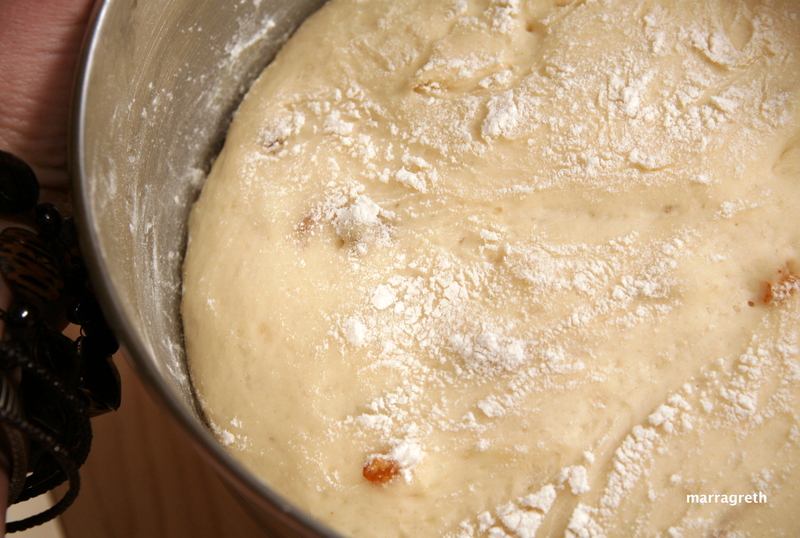 Cover the bowl with a cotton cloth and place in a warm place for 1 – 1 1/2 hours to double the size of the dough. 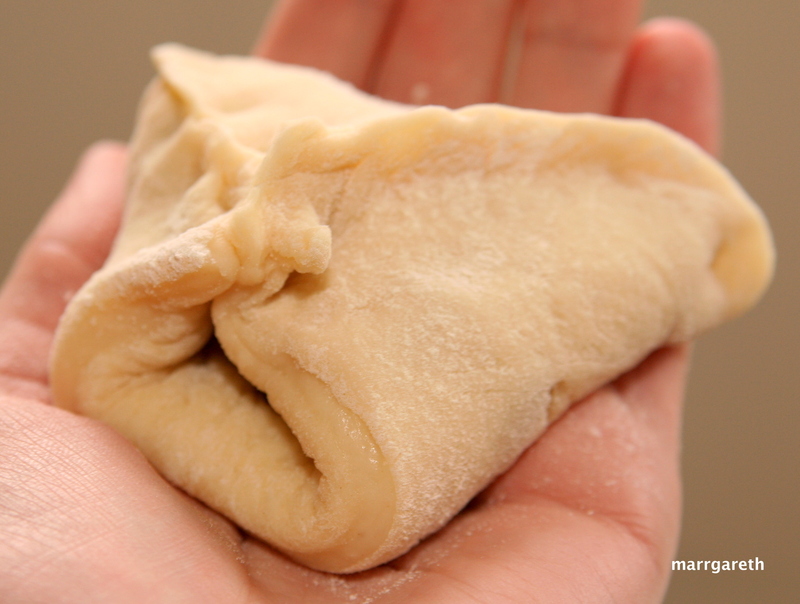 Turn out the dough onto flouted pastry board and roll to thickness 1 cm. 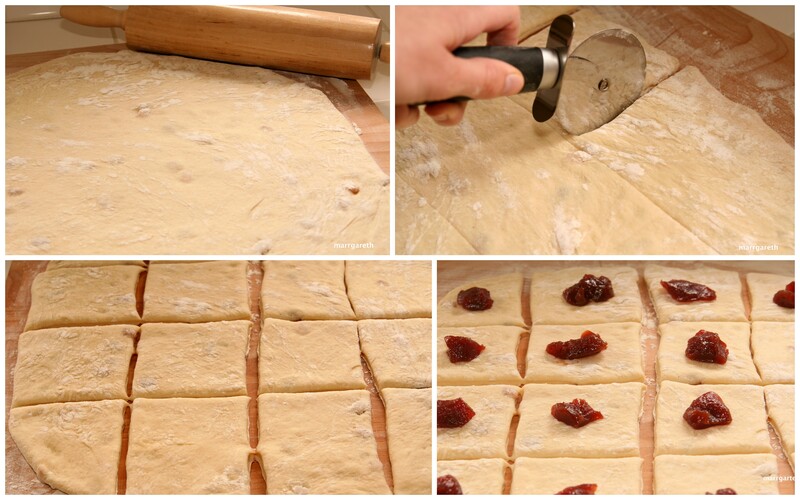 Using a pizza wheel cut the dough into sixteen pieces (squares). Place teaspoon of marmalade in the center of each square. Gather the corners of each square over the marmalade and pinch firmly to seal. Form every bun into a ball. 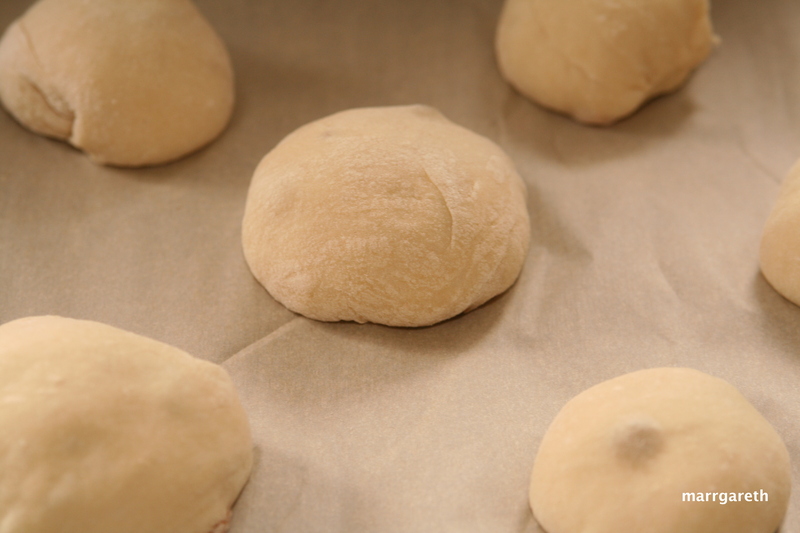 Place the formed buns on a baking sheet. 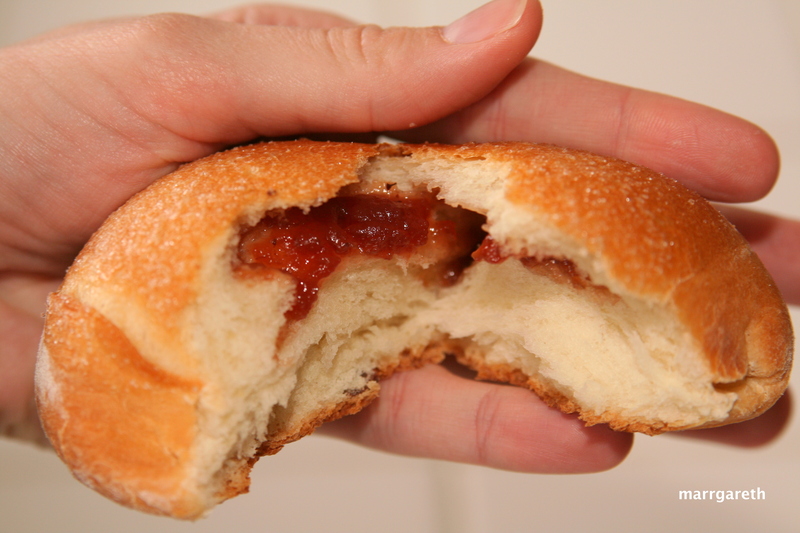 Cover the buns with a cotton cloth and place in a warm place for 30 minutes to double in size. After 30 minutes brush them with soy milk and sprinkle with sugar. Preheat oven to 190 °C (375 °F) and bake about 20 – 30 minutes. Below my son with his bun. Looks like you accomplished the perfect bun in that last picture!